Your grocery bill takes up a big chunk of your monthly budget. Here are 19 ways to save money on groceries and cut that bill in half! You don’t have to spend money on seed starting containers to grow from seed! 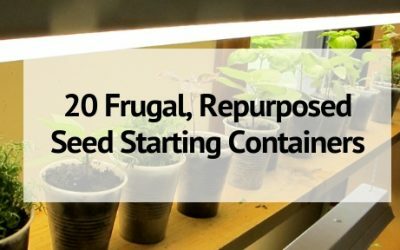 Here are 20 frugal and repurposed seed starting containers for you to try!